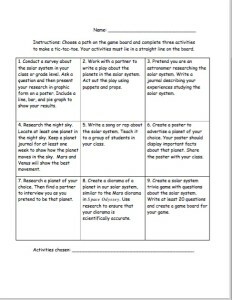 Choice boards are a great way to differentiate for your students. 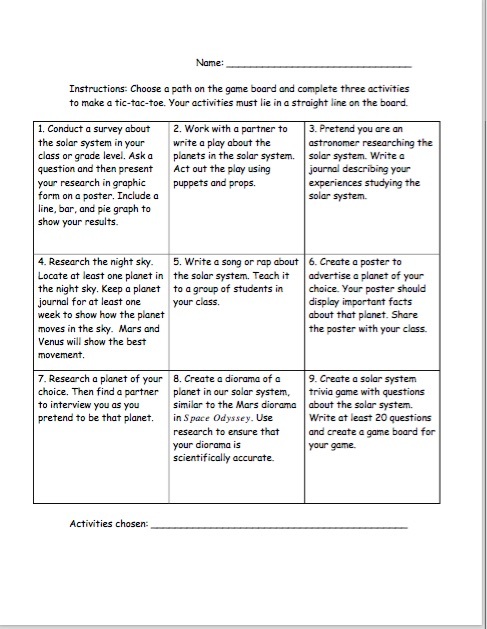 Check out this Solar System Choice Board. You could pair it with this project.